Brian Gay is set to defend his Humana Challenge title on three of the five courses present at PGA West, and he’ll be joined by a quality field of contenders, including the 2014 debuts of Keegan Bradley and local favourite Rickie Fowler. Fowler, who grew up about an hour away from the property, has been working with Butch Harmon recently on his swing with some noticeable changes already in effect. With one top-10 under his belt with Harmon in Thailand, I’m very interested to see what Fowler does this week. 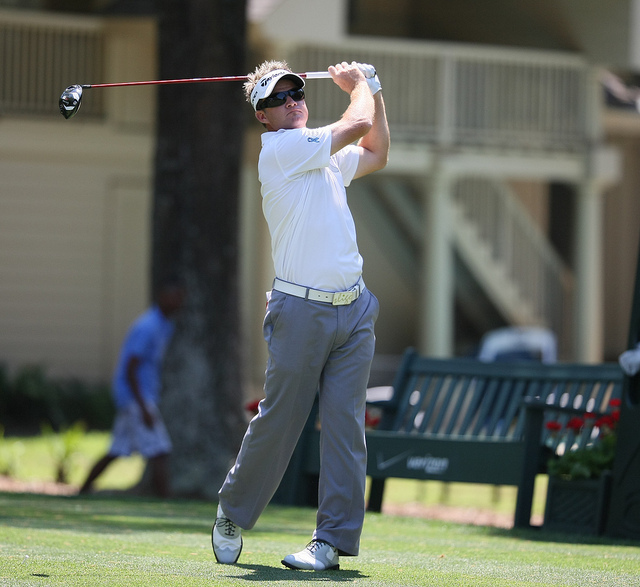 John Daly and Retief Goosen each had good performances last week at the Sony. Can they keep it up? NBC’s Peter Jacobsen is in the field because, well, I’m not really sure to be honest. Tim Clark, who withdrew from the Sony last week with an elbow injury, tried to give it a go on Tuesday, but decided to pull out. As usual, the weather is expected to be perfect, so be prepared for ridiculously low scores as usual. The three courses, which are all laughably short by today’s standards, played as the three easiest courses on the PGA Tour last season. Since 1989, the winning score has been higher than 20-under par on just two occasions, and granted the tournament was played over five rounds for most of that time, but in the last two years where they moved to the regular four round format, the winning score has been 24 and 25-under par. To make the cut last year, players needed to be at a ridiculous 10-under par. Birdies and bogeys mean even more than normal this week. In terms of the type of player that usually does well here, being overly long is never a problem, but it hasn’t been the deciding factor in this event either. Previous winners like Gay, Mark Wilson, Justin Leonard and Mike Weir are testaments to that. Typically, you want to avoid guys who have a slightly higher than usual potential for a blow up, and instead, ride guys who stay consistent, but can run really hot. Zach Johnson: We all know what Johnson has done recently, from beating Tiger at Sherwood to dissecting Kapalua, Johnson has only been outside of the top-20 twice since the Open Championship and continues to establish himself as one of the best players in the world. His track record here isn’t bad either, with three appearances yielding no worse than a tie for 23rd and no rounds above 71. Webb Simpson: Simpson is on a nice little run, with four consecutive top-10’s, including his win at the Shriners back in October. He hasn’t done much of note here since finishing tied for 5th back in 2009, but he’s always a threat, especially in a field that is a little light on talent like this one. Brandt Snedeker: Snedeker played pretty well in his last start at Kapalua, which was his first after injuring himself in a Segway accident, and much like Johnson, his track record is quite good here despite not having a victory to his name. Two top-10’s in four appearances, and no rounds under 71 lead me to believe that he can go low here. Also, don’t forget that he loves playing in California, with strong finishes every year at Torrey Pines, and winning at Pebble last season. Keegan Bradley: Bradley is making his 2014 debut here this week, having taken the last month and a half off after travelling to Japan for the Dunlop Phoenix Open. He hasn’t been here since the tournament was reduced to four rounds, but he did finish tied for 7th back in 2011. Harris English: English has been playing quality golf as of late, winning three starts ago at Mayakoba and following that up with a T11 at Kapalua and a solo fourth last week at the Sony. In two appearances, he’s cracked the top-20 once but never made a real push. With that said, he’s got the right mix of the game I mentioned above to be a contender here. I’m surprised there isn’t a little more support for Horschel this week. Good finish in Kapalua with a weekend of 68-66, which got him into the top-10. Yes, he’s missed two cuts in three appearances, but during his coming out party last year, he started things here with a tie for 10th after rounds of 67-68-65-67. I love him in this spot and think it’s very likely that he gets his second PGA Tour win this week. Howell did what he usually does at Waialae last week, finishing in the top-ten after a great run of 67-66-66 from Friday to Sunday. As mentioned above, he lost in a playoff last year to Gay, so obviously he’s comfortable at the course. Great ball striker who can go really low, and doesn’t usually get himself into too much trouble. Woodland lost in a playoff here in 2011 back when this was a five round event, and while he’s missed the cut in both of his other appearances, I think he’s a much better overall player now than he’s ever been. He still smashes the golf ball, but has significantly improved his short game as well. He’s going to win on the PGA Tour this year, without question. I talked about Fowler’s swing change above, and even though I’m a little skeptical of suggesting him this early in the process, Fowler was supposedly working with Harmon ahead of his good week in Thailand. He missed the cut in his only appearance here, but I really like what I see so far, and much like Horschel, he fits the bill for the type of player that does well here. The usually consistent de Jonge hasn’t had the best time here, which coupled with the fact that he has yet to win on the PGA Tour, explains why he’s available at this kind of price. For the record, I don’t expect him to win this week, but I like his chances to get into the top-5. Only two rounds above 71 here in the past. This selection is based solely on what I saw from Goosen last week, where he actually looked like he was healthy again for the first time in years. Rounds of 69-66-69-66 got him into the top-10, and he just looked solid. To be honest, there’s a good chance that he blows up this week and misses the cut, but at this price, you can’t really go wrong.